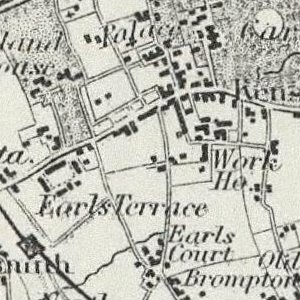 The East Greenwich Gas Works of the South Metropolitan Gas Company was the last gas works to be built in London. East Greenwich gasometer, Blackwall Lane The 19th century gasometer frame in Blackwall Lane, just south of the tunnel entrance and the Millennium Dome (still to be built when this was taken). The framework made intriguing geometric patterns as we sailed down the river aboard the Thames barge ’Pudge’. Located on the Greenwich Peninsula by the Thames in south-east London, the works was built between 1881 and 1886. 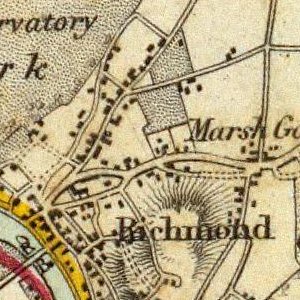 Most of the works was built on a greenfield site on Greenwich Marshes. The start of work on the site was complicated by proposals to build a dock system on the peninsula, similar to that on the Isle of Dogs across the river. 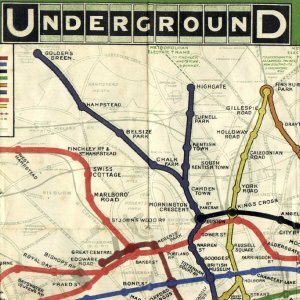 Originally proposed in the 1850s, this plan was resurrected in the 1880s, but eventually came to nothing. 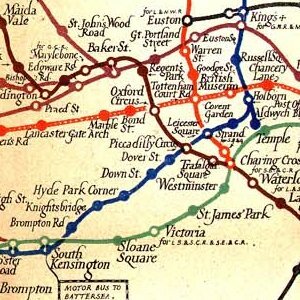 The works was built under the auspices of the South Metropolitan Gas Company’s chairman George Livesey. Before construction could begin many tons of clinker and heavy rubbish were dumped in order to build up the marshy ground. 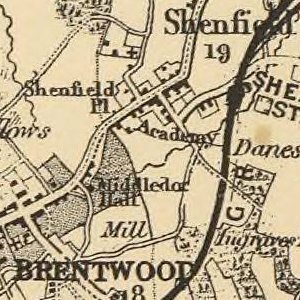 The gas works eventually occupied most of the east and centre of the peninsula, stretching for around 1.2 miles from Blackwall Point, southeast towards New Charlton and covering some 240 acres. The works took over the chemical works of Frank Hills at Phoenix Wharf on the east side of the peninsula, which already used tar and ammonia from existing gas works. In 1889 (during a time of labour unrest including the 1889 dock strike) under the leadership of Will Thorne the workforce resigned en masse in an attempt to prevent a profit-sharing scheme with anti-strike clauses. 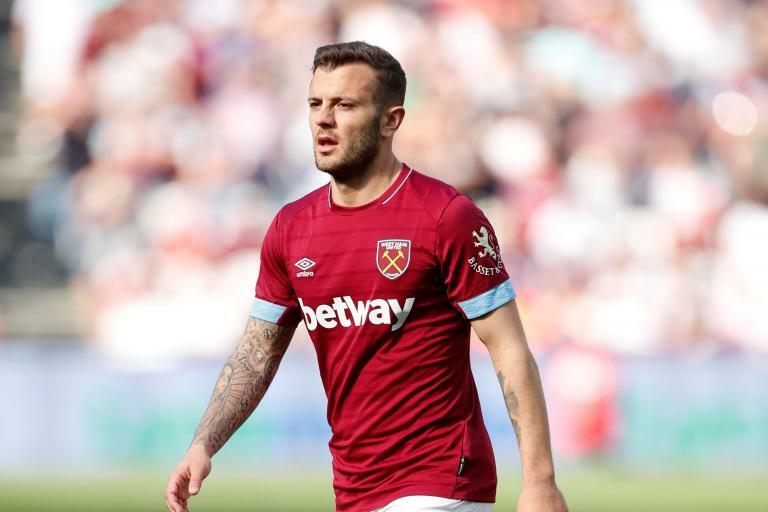 Livesey successfully brought in labour from outside to replace the workforce. The site had two very large gas holders. The first, built in 1886 and of 8,600,000 cubic feet was the world’s first ’four lift’ (moving section) holder. The second, with six lifts and originally the largest in the world at 12,200,000 cubic feet, was reduced to 8,900,000 cubic feet when it was damaged in the Silvertown explosion in 1917, but was still the largest in England until it was damaged again by a Provisional Irish Republican Army bomb in 1978. It was later demolished. An extensive internal railway system carried coal from a large coaling pier to the rest of the plant. In the 1920s the Government Fuel Research Station next to the works (on land owned by the company) began research into coal liquefaction in order to make petroleum. It also performed surveys of the properties of coal, and is believed to have carried out chemical weapons research. This closed in 1958, its work transferring to the Warren Spring Laboratory. 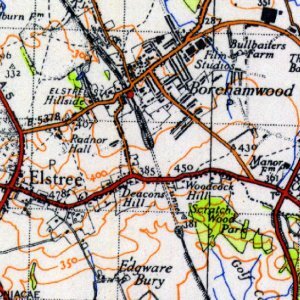 Following nationalisation of the gas industry in 1949 the plant was taken over by the South Eastern Gas Board, later passing to British Gas plc. In the early 1960s oil gasification plant was introduced, greatly increasing capacity. In 1965 the site produced around 400,000,000 cubic feet of gas, the largest in the world for a single site. After introduction of North Sea gas production ceased in 1976. The gasification plant was mothballed for many years, but eventually demolished. 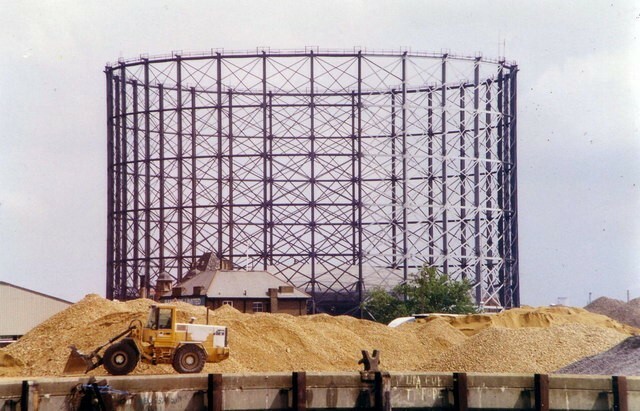 Initial decontamination was carried out by BAM Nuttall for British Gas, with the development being known as Port Greenwich. This included excavation to 15 metres to remove tar from the aquifer and driving a 100 metres diameter sheet pile ring into the London Clay. Around 120 tons of benzene and other hydrocarbons was removed from the soil. Further decontamination was performed by English Partnerships. Redevelopment began in the late 1990s, the first development being the Millennium Dome, originally intended to be a temporary structure to be removed after 2000. 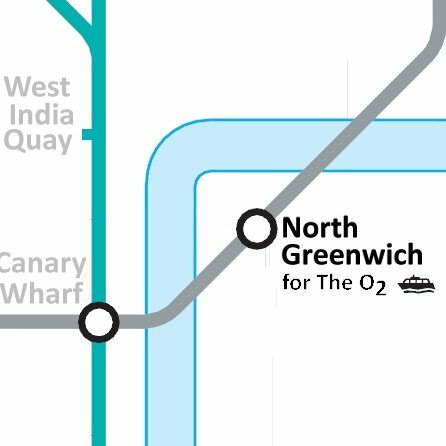 The site is covered by many developments, principally The O2, North Greenwich tube station, David Beckham Academy, a retail park and multiplex cinema, a hotel, primary school, Greenwich Peninsula Ecology Park and Greenwich Millennium Village. Several sites remain to be developed. Two small sections of the plant’s coaling jetty are preserved as part of North Greenwich Pier, one acting as the base for Anthony Gormley’s sculpture Quantum Cloud. Nothing remains of the works but a single gas holder, built in 1886. Greenwich council has seized 18 abandoned vehicles and issued 49 parking tickets during its recent Operation Stop It in Thamesmead. A 65-year-old woman is recovering in hospital after sustaining nasty injuries during a brutal assault insider her own café. 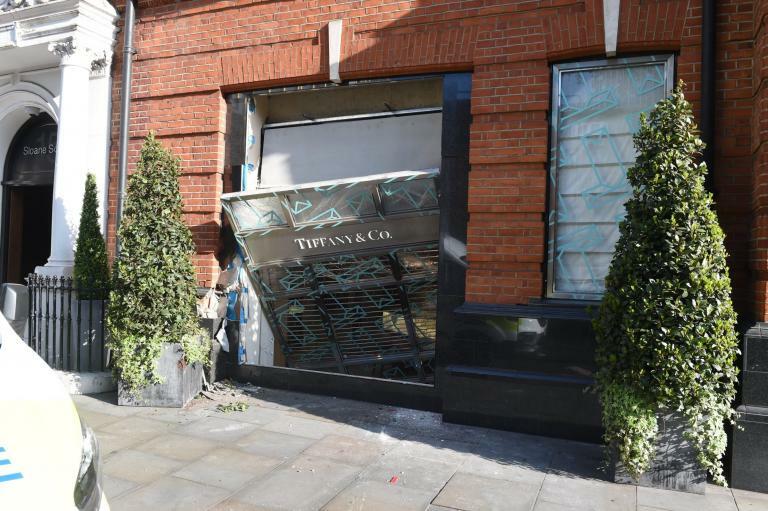 Ram-raiders launched a smash-and-grab at luxury jewellery store Tiffany’s in west London today. The father of a boy who had open-heart surgery as a six-week-old baby is running the London Marathon to thank doctors for saving his son’s life. 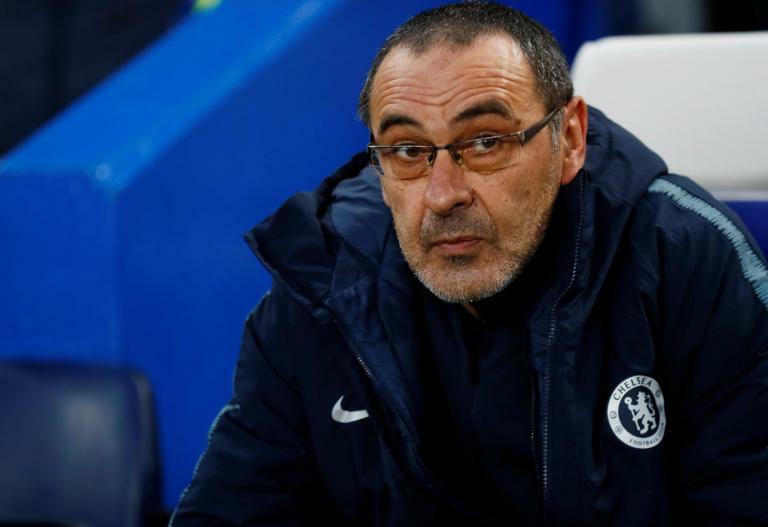 Maurizio Sarri admits it will be difficult for Chelsea to close the gap to Manchester City and Liverpool, but insists they must try to do so within the next two seasons. Beer and Burger Store has announced the opening of it’s fourth restaurant at the O2. A woman from Eltham has been prosecuted by Greenwich council for repeatedly playing loud music in the late hours. Concerns have been raised that Blackheath Rugby Club have used a pitch for nearly a whole season without signing a lease with the council. Ticket for ONBlackheath are now on sale, but you need to be quick because this line-up is sure to cause a stir.